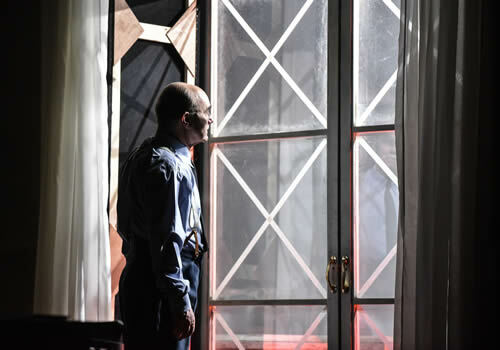 David Haig’s intense Second World War thriller Pressure arrives in the West End, following a successful run at London’s Park Theatre. 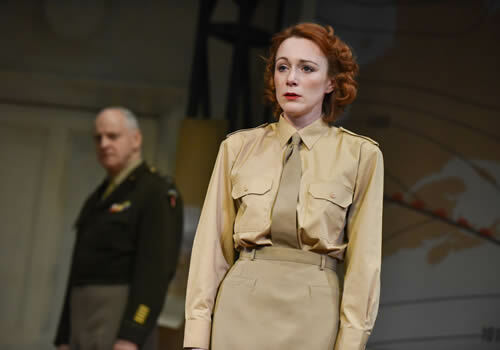 Originally premiering back in 2014 at the Royal Lyceum in Edinburgh, the thrilling production transfers to the Ambassadors Theatre for a strictly limited season, marking the 74th anniversary of the D-Day landings. 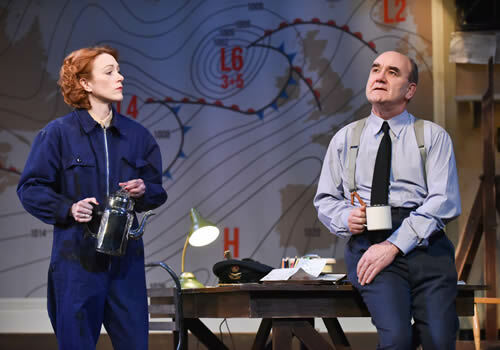 Based on a remarkable and true story, Pressure follows two sparring Allied meteorologists, whose weather predictions have a huge impact on the success or failure of the D-Day landings. With only 72 hours to go before the fateful event, Group Captain James Stagg and Irving P. Krick battle to divulge General Eisenhower with a decision that could make or break the entire war. With 350,000 lives depending on their judgement, the Scottish meteorologist predicts severe storms and a Hollywood movie consultant preaches sun and calm. With the stakes incredibly high, their final word will set in stone the future of Britain, Europe and the United States. 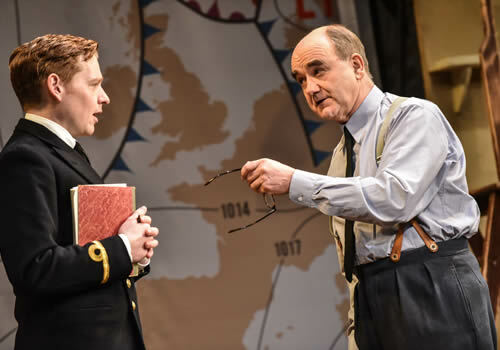 Olivier Award-winning actor David Haig writes and stars in the play as Group Captain James Stagg. Credits include notable roles in Four Weddings and a Funeral and The Thin Blue Line, whilst playwrighting credits include My Boy Jack. Further casting includes Malcolm Sinclair (Privates on Parade) as General Eisenhower and Laura Rogers (The 39 Steps) as Kay Summersby, as well as Andrew MacBean, Bert Seymour, David Killick, Mark Jax, Mark Kitto, Molly Roberts, Philip Cairns, Robert Heard and William Mannering. John Dove (Farinelli and the King) directs the show, which features design by Colin Richmond, lighting design by Tim Mitchell, sound design by Philip Pinsky and video design by Andrzej Goulding. 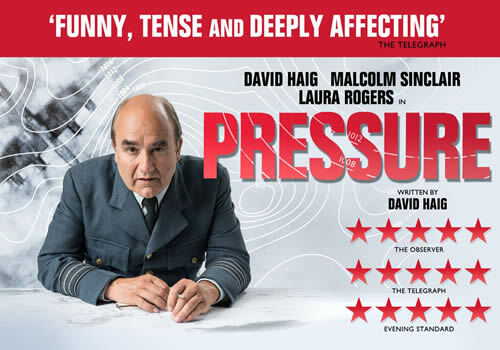 Pressure is produced by Jonathan Church Productions, Jenny King and Oliver Mackwood Ltd.
A critically acclaimed play that heralds the unsung heroes of the 20th century, David Haig’s Pressure plays at the West End’s Ambassadors Theatre for a limited season, from June 6th to September 1st 2018, with an official opening on June 12th 2018. Pressure may not be suitable for young children. Under 5's will not be admitted.